November 15, 2012 | David S. Maldow, Esq. 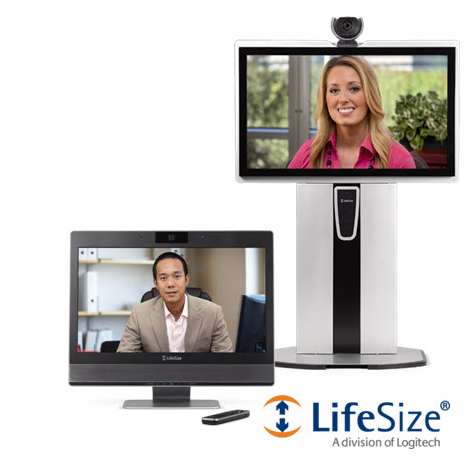 Today, LifeSize has announced two new additions to its Unity Series product line (shown above). We originally covered the Unity Series when it was first released back in May . The Unity Series of videoconferencing endpoints are integrated solutions, designed to provide IT managers with a simple, plug and play meeting room solution (literally two cords from the Unity to the wall). With today's new releases, the Unity Series can more effectively cover medium to large conference rooms. Previously, LifeSize was offering the Unity 50 (24" display), and the Unity 500 (40" display), both shown below. The Unity 50 is a personal solution, designed for desktop or to be mounted on a wall, while the Unity 500 is ideal for small to medium meeting rooms. Today's new offerings both support 55" screens and are designed for medium to large meeting rooms. The Unity 2000 appears to primarily be a two screen version of the Unity 1000. Both new systems support 1080p30 and 720p60 and are powered by either the LifeSize Room 220 or LIfeSize Express 220 codec. 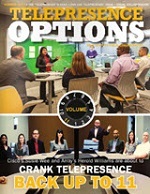 With all the recent buzz about the power of software, appliance based meeting room systems are still required by a massive base of enterprise users. These users can either continue to rack up integration costs, spend time and resources building their own solutions, or switch to something like the Unity solution. I think most IT managers will see this as a welcome upgrade from the do it yourself model and its associated wiring / configuration headaches. At $30,999 for the Unity 1000 and $59,999 for the Unity 2000 these systems are clearly intended for rooms where quality and experience are the primary concern, and crowding around a laptop VC is simply not an option. 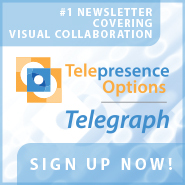 Just because LifeSize is working to make VC easier (see my recent coverage of their UVC Platform), doesn't mean they aren't still catering to today's serious business professionals who demand a quality, high end, videoconferencing experience. Previously, LifeSize was offering the Unity 50 (24\" display), and the Unity 500 (40\" display), both shown below. The Unity 50 is a personal solution, designed for desktop or to be mounted on a wall, while the Unity 500 is ideal for small to medium meeting rooms. 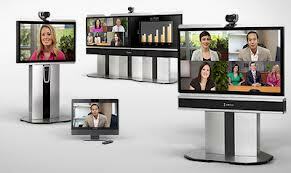 Today's new offerings both support 55\" screens and are designed for medium to large meeting rooms. The Unity 2000 appears to primarily be a two screen version of the Unity 1000. Both new systems support 1080p30 and 720p60 and are powered by either the LifeSize Room 220 or LIfeSize Express 220 codec. At \$30,999 for the Unity 1000 and \$59,999 for the Unity 2000 these systems are clearly intended for rooms where quality and experience are the primary concern, and crowding around a laptop VC is simply not an option. 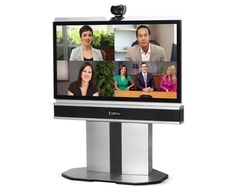 Just because LifeSize is working to make VC easier (see my recent coverage of their UVC Platform), doesn't mean they aren't still catering to today's serious business professionals who demand a quality, high end, videoconferencing experience.